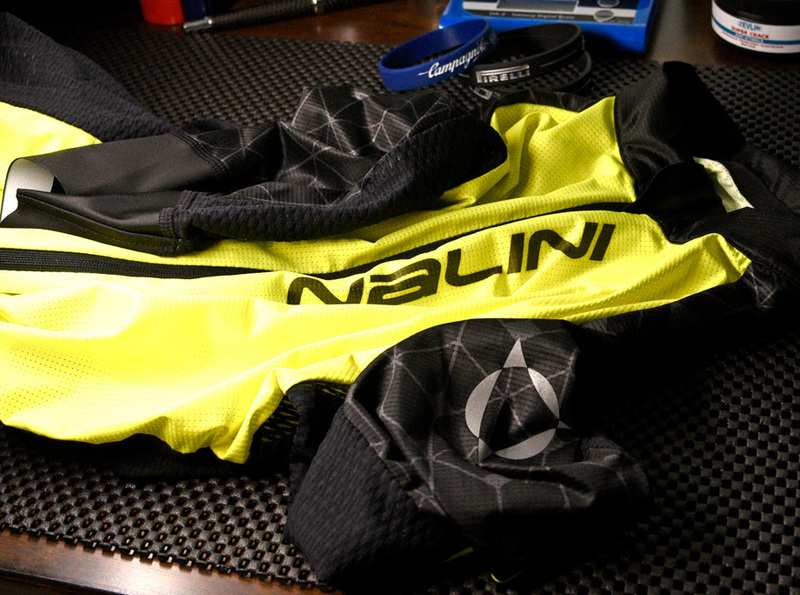 Inside Nalini and MOA Sport. 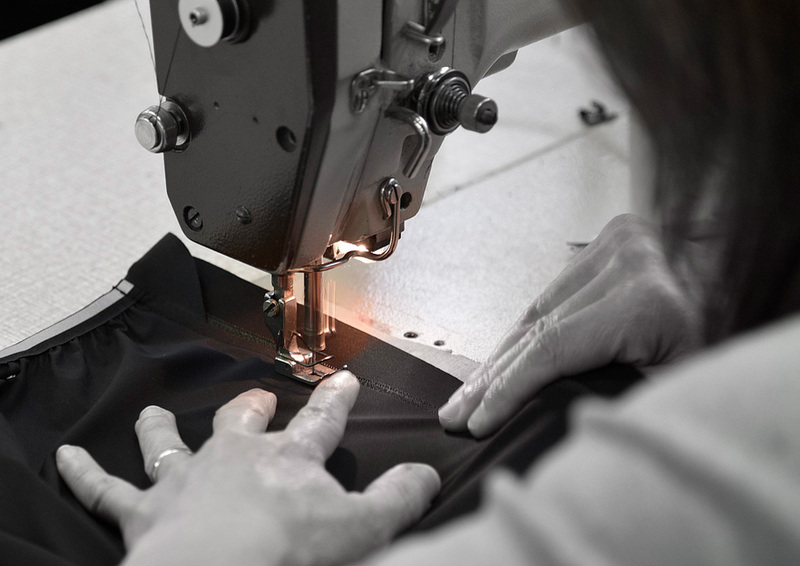 The clothiers of Castel d'Ario Italy work for themselves and the world’s top cycling brands, going from raw thread to designing and weaving technical fabrics to graphics to pattern design and sewing the finished pieces. 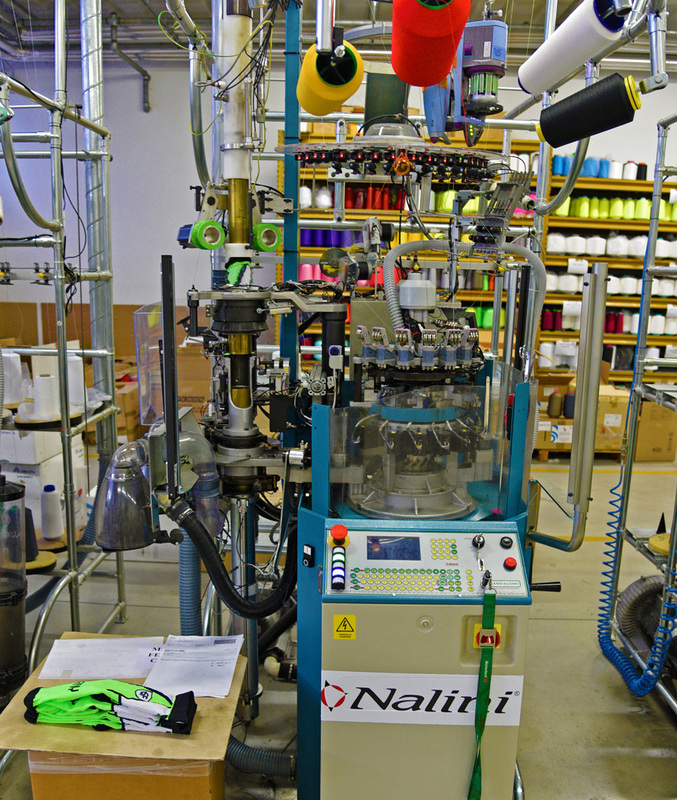 But our Nalini factory tour revealed much more than we expected. 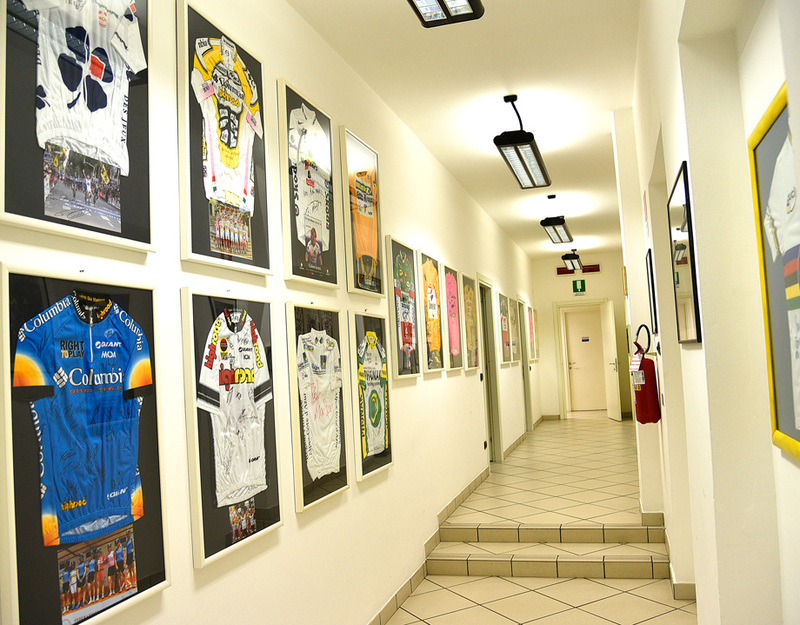 Nalini and Sister Brand MOA Sport were started by the Mantovani Brothers Vincenzo and Claudio. The brothers were exceptional athletes, Claudio a goal keeper for the Italian National Team and AC Milan and Vincenzo an Olympic medalist in cycling. 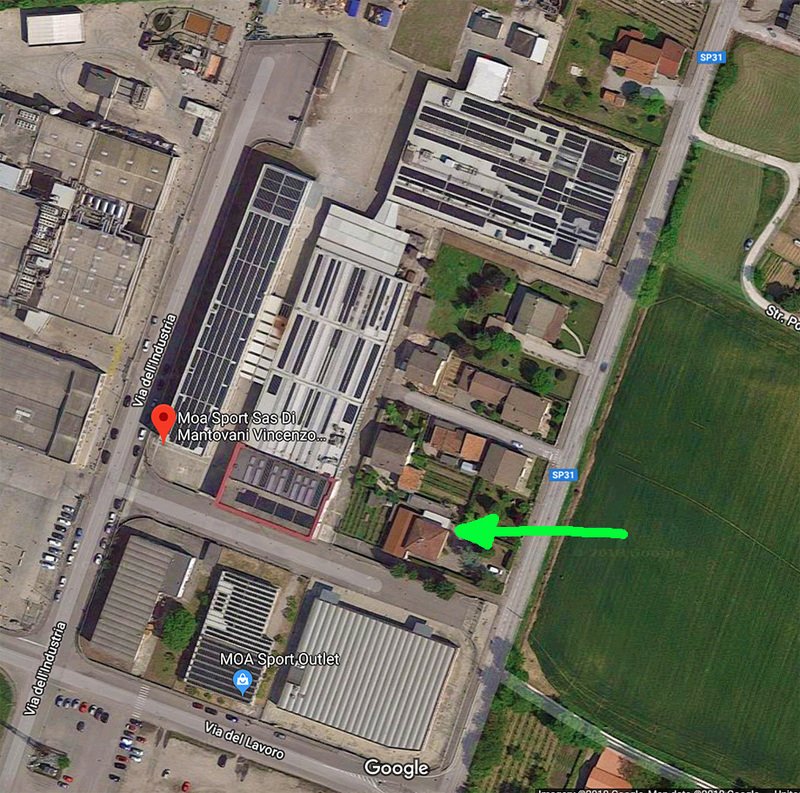 Fast Forward to today and Castel D'Ario is still well known for its seamstresses and the factory still sits next to the house, but it’s a bit bigger now… Taking up the blocks around the home (Green Arrow) and employing hundreds of people. 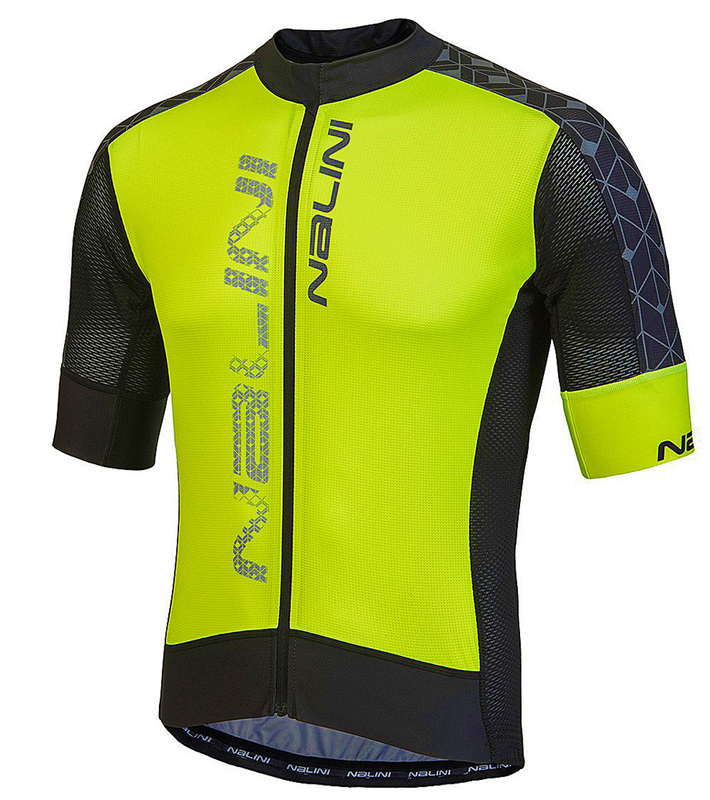 In North America, the Nalini Brand is known primarily for clothing the pro peloton for the past couple of decades (and clothing the fans with replica team kit), but over the past several years a few other high-end brands manufactured by MOA Sport have garnered more attention than the company actually making the product. While I can’t reveal all the companies who’s “Made in Italy” product is produced by MOA Sport, I can tell you that if I had to name my top 5 brands available in all of cycling world-wide, 3 of them are made here including what many of you would think of as the number one premium brand in the world. 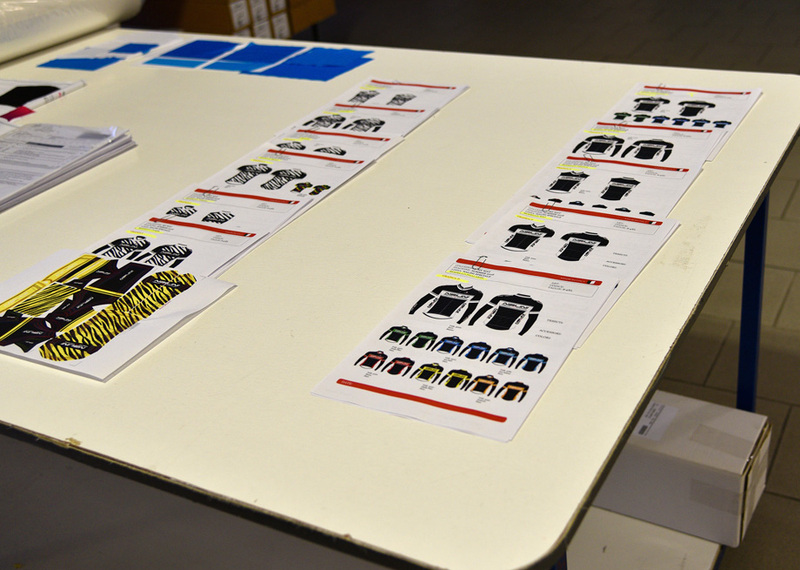 The pro peloton is still well represented by products made here… My guess is that half of the Pro Tour’s Kit is being produced by Nalini MOA (again, under multiple manufacturers names). This story was originally set as part of a product review, but a few words about the company mixed into a story on a pair of bibs and a jersey would be an injustice… Hell, there are dozens of companies that can put a logo on premade clothing pieces and call themselves a “Cycling Kit Manufacturer” but a simple kit review won’t give you a proper appreciation for this company. Many companies tell you “who’s fabric” they use… Not many can make their own fabric weaves and blends to their own internal specification. Most Cycling Kit "manufacturers" don’t have a deep enough understanding of performance materials to create a fabric specification in the first place. The depth of knowledge at Nalini/MOA is exceptional. 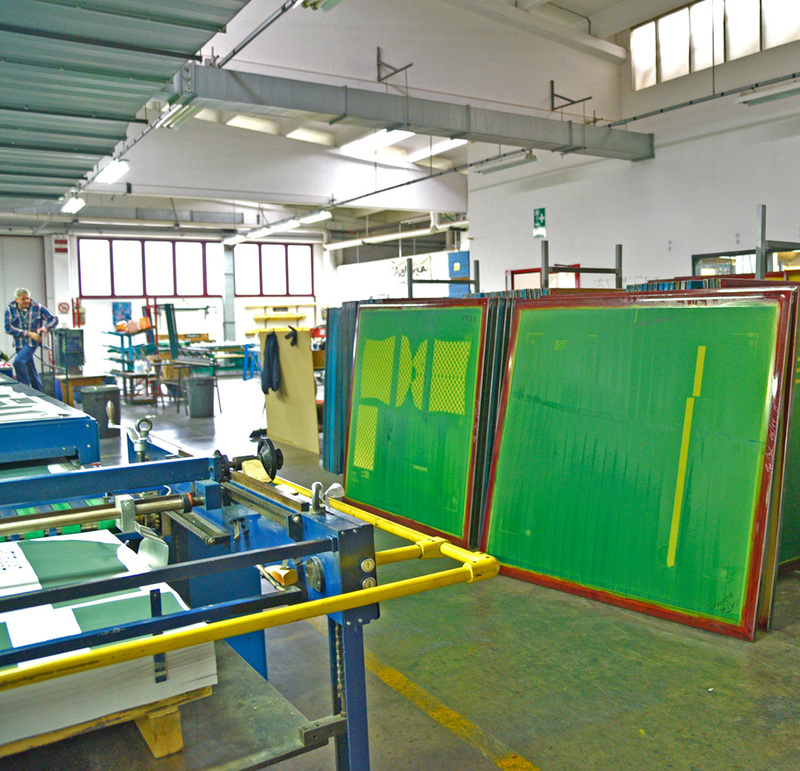 On the day of my visit they were running a few different base materials, each requiring different fiber types and densities, each through fast moving machines producing sheets of materials that will be placed into computer guided machines that will cut stacks of pieces that will make up the panels of individual garments. Ah, but how do know how to make the proper cuts? 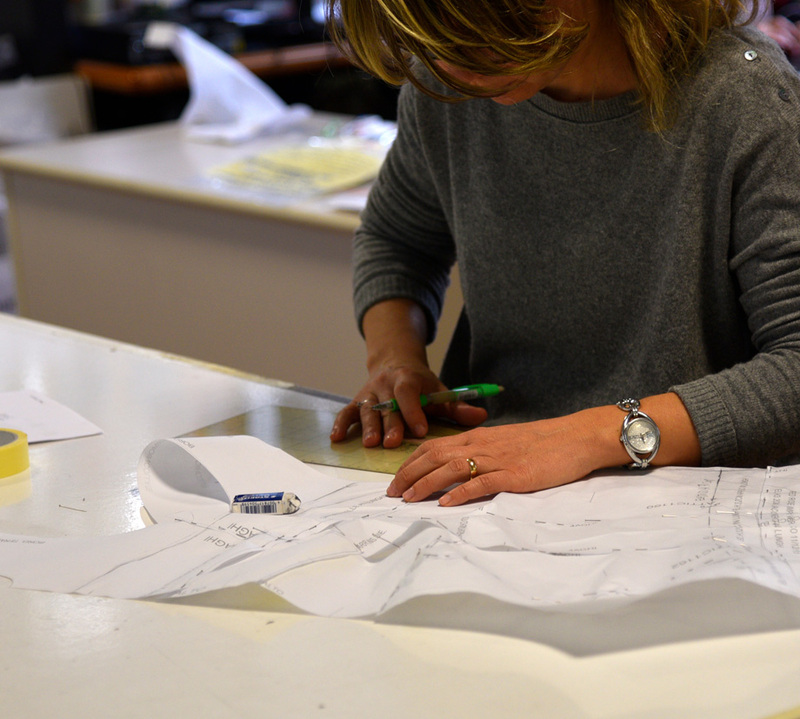 In this place, nothing is cut until highly skilled staff create the templates in an age-old process that requires form fittings and hands on pattern design. This is painstaking work that’s handled only by the people that understand each fabric's behavior (compression/stretch direction/breathability/hydrophilic-hydrophobic/wind resistance/etc.) and the character of all the different types of stitches (roughness/stretch direction/stretch resistance/directional strength) all while understanding the body’s movement. The fitting design department was the place that I spent the least amount of time but found most impressive. 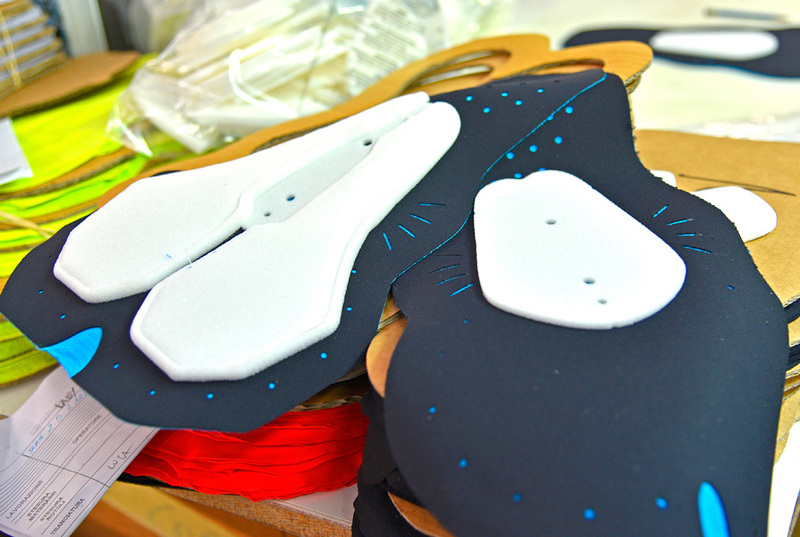 This is the heart of Nalini MOA where a team of exceptionally experienced people are tailoring to the athlete to the smallest detail, including manual micro adjustments to fit, right down to pinning the pattern pieces on body shaped fabric mannequins to understand how the patterns will lay with the least amount if bind, sag or overstretch. 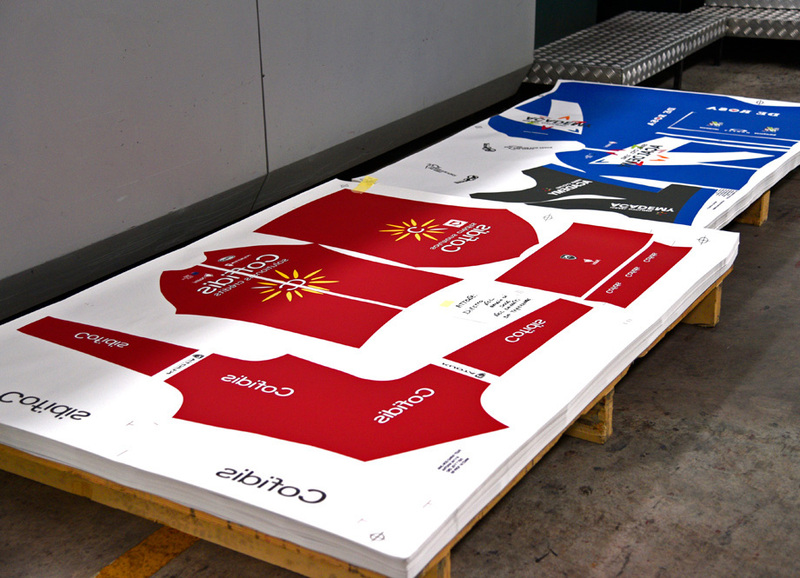 Once they’ve been cut, the individual panels are then taken to a few different areas where the graphics can be applied in different processes. 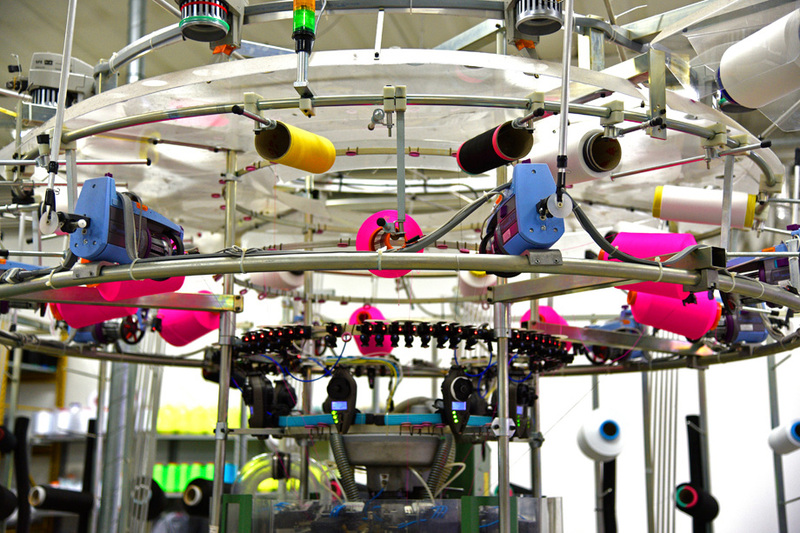 The graphics and colors are computer generated to produce the different types of transfers. No matter what the process is, all designs get a review, including swatches of the materials and colors so that the actual sheen and vibrance are considered first hand. This step is critical as the same color can look dramatically different depending on the base fabric. It’s something that simply isn’t done much at a host of smaller brands that don’t do much more than take team kit orders and drop the selected colors on existing materials. 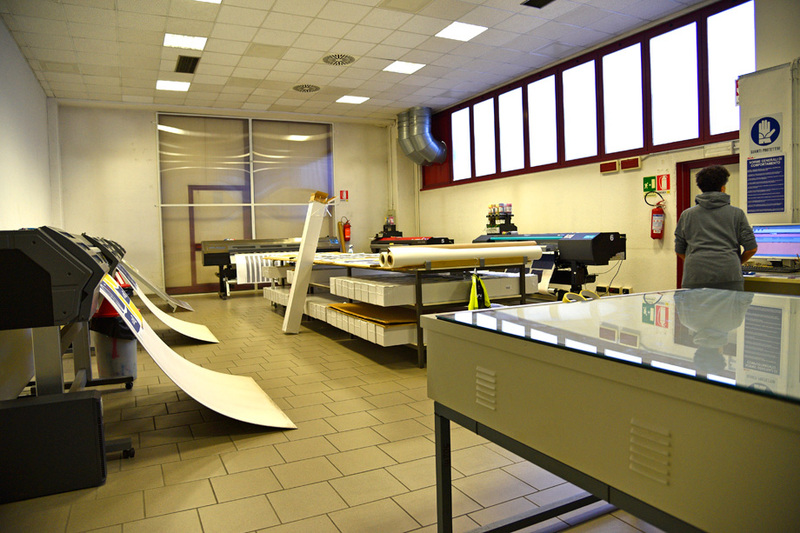 Once the designs are finalized (after multiple checks by both internal staff and customers), they can go to several different graphics application areas. 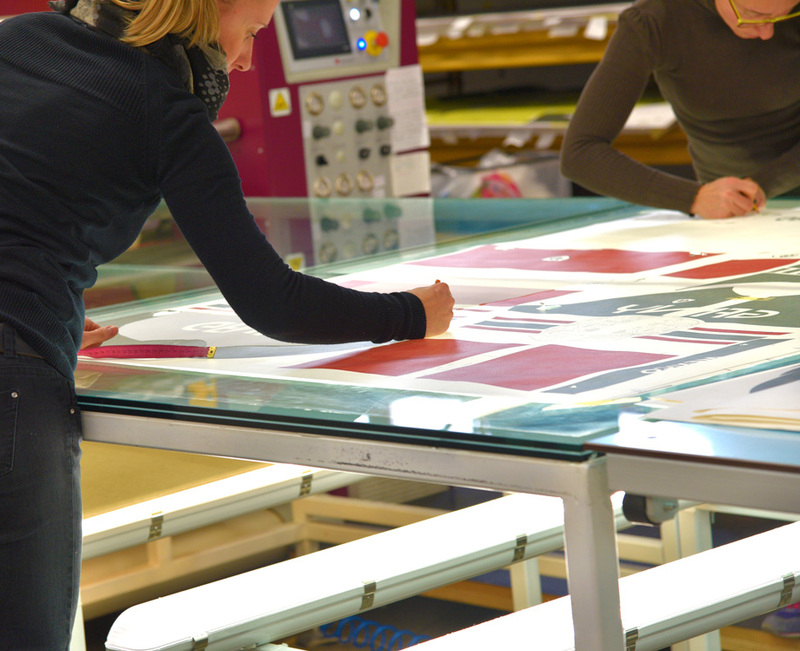 One method of graphics production is computer-controlled transfer where large sheets are printed with special inks to then be laid over the fabric panels. 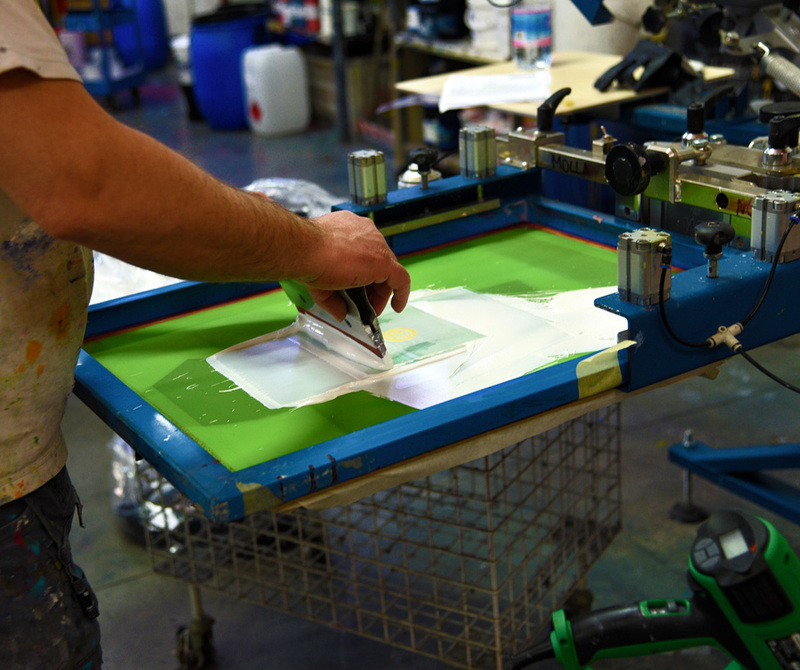 Depending on design complexity and fabric, there are also large “painting” machines that lay the color to the transfer sheets where it will then be applied to the clothing panels. These use the large screen patterns and lay the color in layers. And the color is evenly spread through and produces a deep, rich finish on the garment. 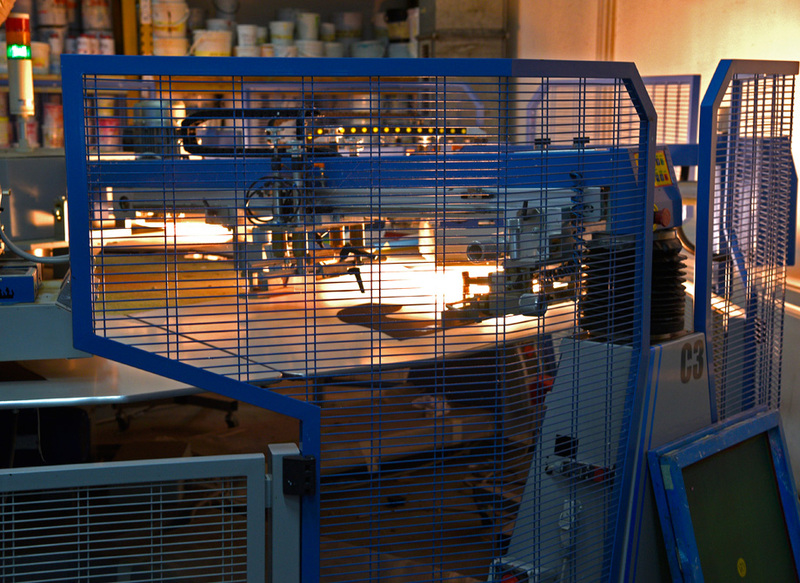 In still another area, this “painting” process will be done by hand, putting the single color directly onto the garment. 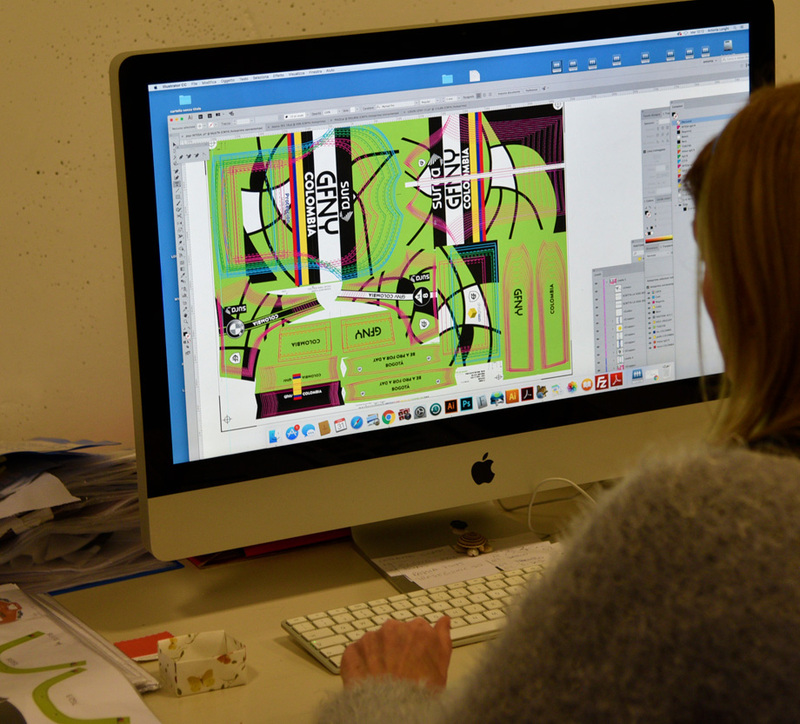 Complex patterns require layout to determine cutting for the fabric pieces that receive the graphics for multiple panels from the same material sheet. Once the graphics are applied, there is a spot check and lay out of the pieces to ensure continuity and alignment are possible for sewing. When the checks are done and all the panels are ready, they head off to be sewn by a fleet of talented crafters. 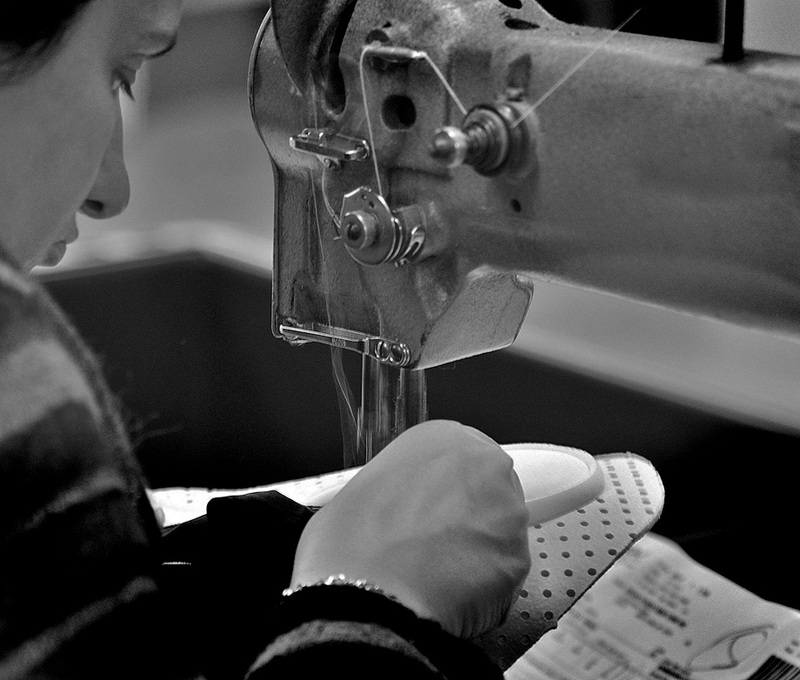 This is all hand work, some using machines and the detail work done the old-old-fashioned way. 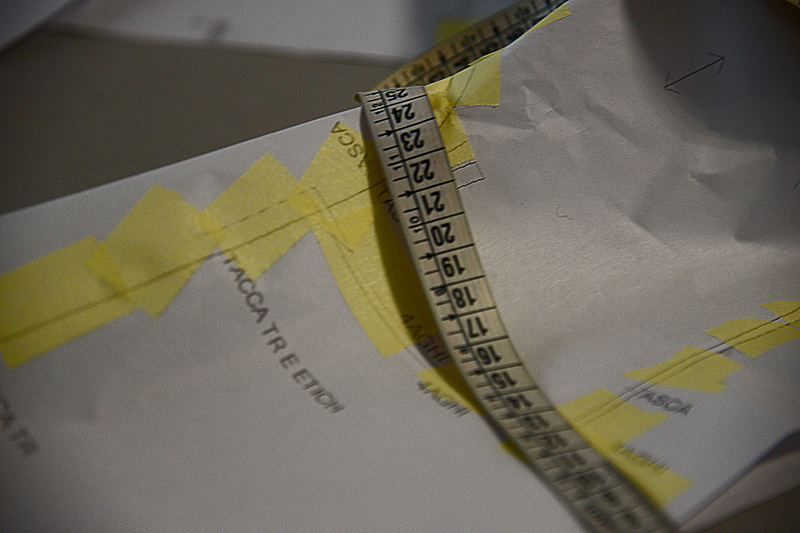 Once complete, every piece goes through an inspection department that finishes each article by hand. 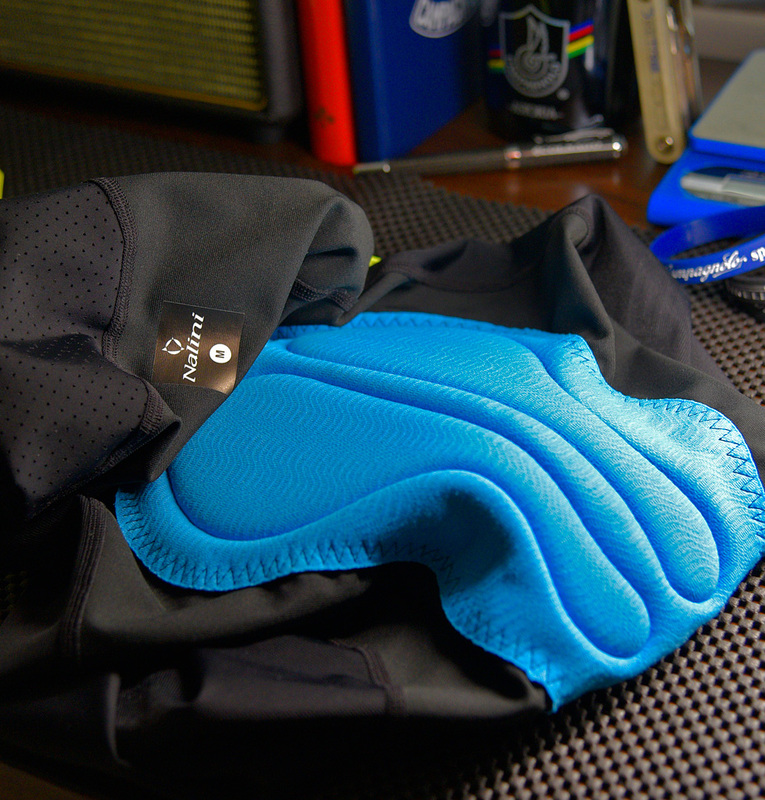 Yes, Nalini also make a lot of their own chamois in house. 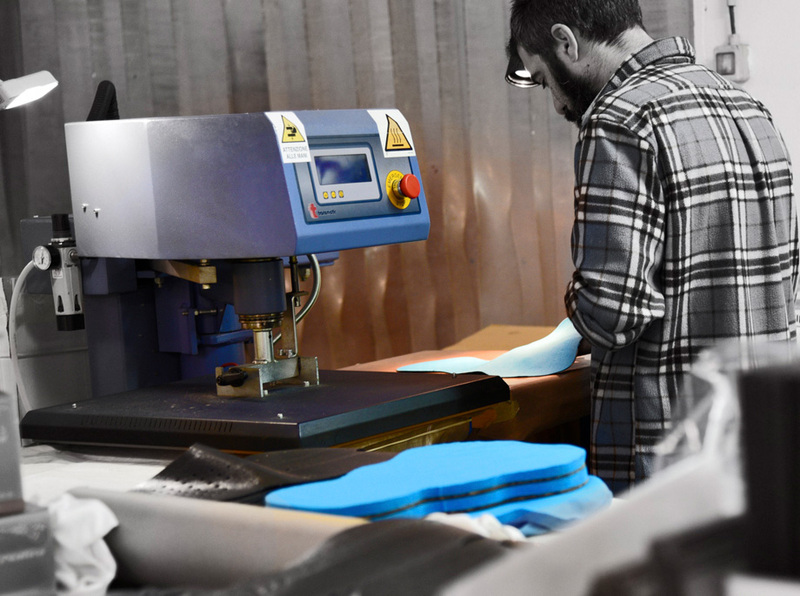 Nalini/MOA make multiple types of chamois in house, from sewn-in to heat-bonded and sonic welded multi-layer pads (Nalini also use customer specified chamois from Elastic Interface who also produce in Northern Italy). There are dozens of styles selectable for multiple disciplines & preferences. 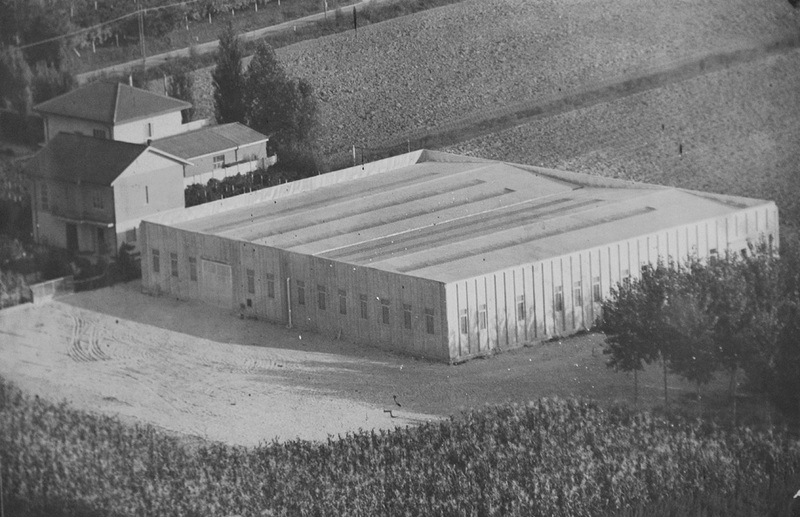 Once past the Chamois production, we walked to the area on the campus focused on producing base layers and socks. It’s here that Nalini are weaving the wicking materials best suited to sit next to your skin for either staying cool or staying warm. There is an incredible variation in weaves and patterns here that seem almost impossibly complex to fit within a single piece of garment. 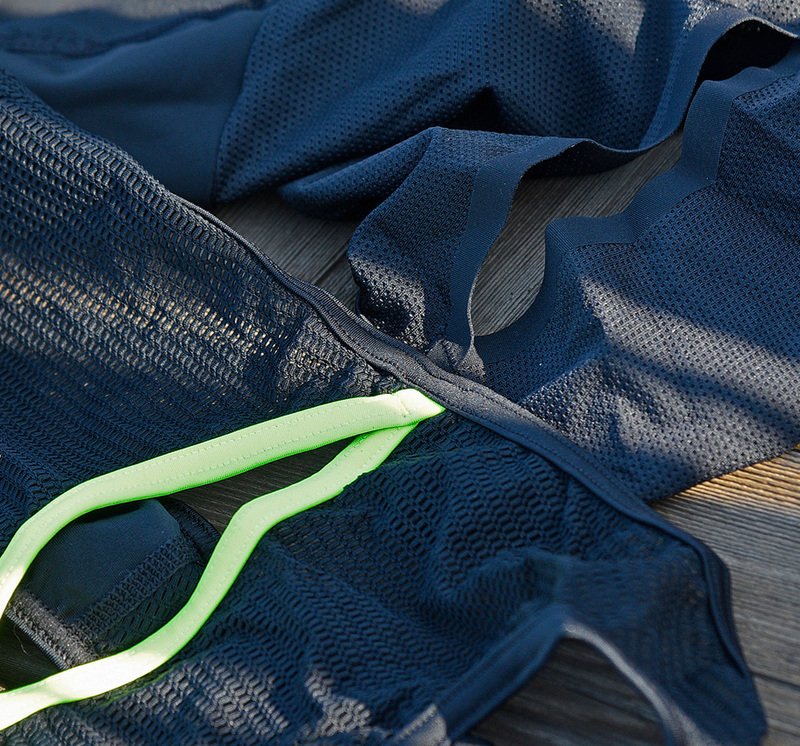 The areas of stretch, compression and breathability are all blended together for function with a dash of style. 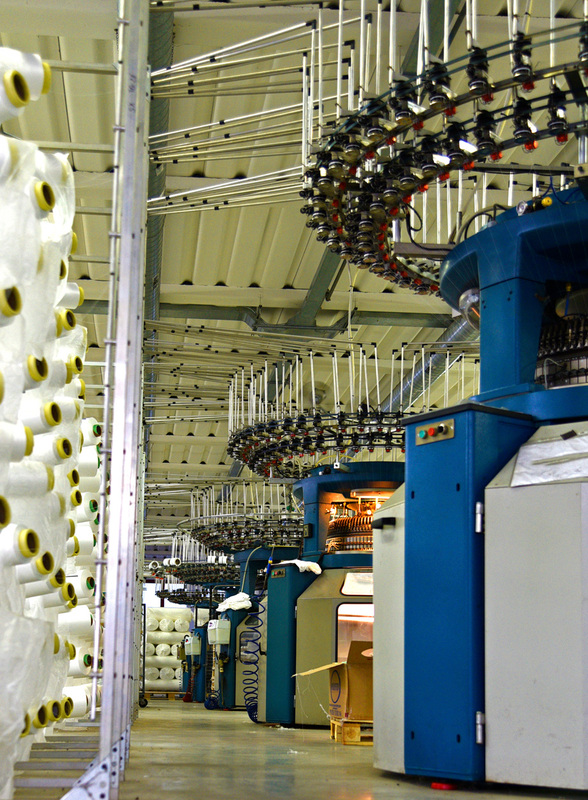 The most colorful section of weaving sits next to the base layer production, where socks come together from single fibers into the wicking weaves we put on our feet. 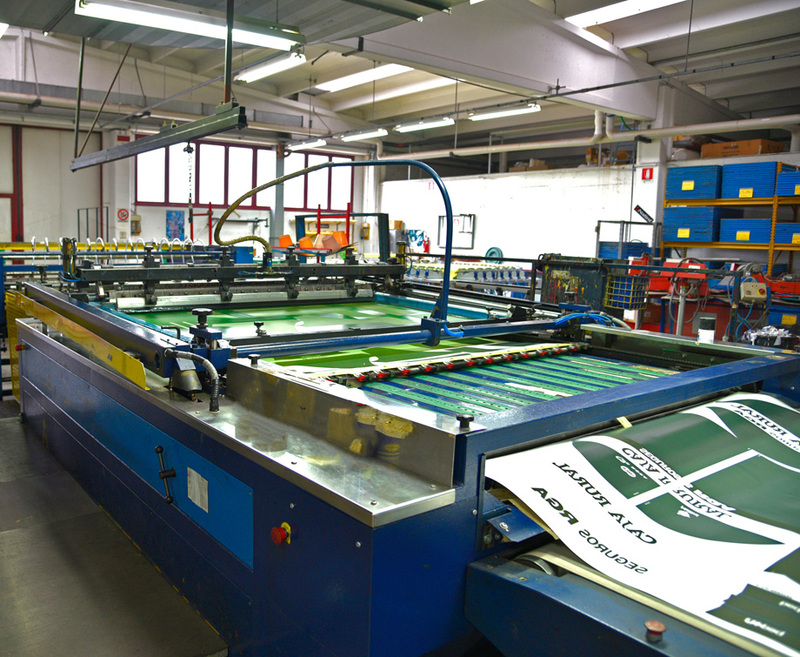 Like the base layer units, these are complex machines that put together your color combinations and weave the designs right into the material as it’s produced. Interesting factoid that I’ve seen in all high-performance sock factories. The size and shape of the socks actually come as a post weaving process where socks are a tube shape until they’re slid onto foot forms that will dictate the shape and size. What did I bring home? So there I sat amongst virtually all of Nalini’s current kit (as well as the summer kit being produced for other top tier brands). My host was exceptionally gracious and asked which of the pieces I might want to try. Living and riding most of the time in Phoenix, where morning rides can start in the high 80’s / low 90’s (@6:00 AM) and always end over 100 degrees, I tend to look for things that will breath well and have a reasonably snug cut to resist flapping around. I set about picking what I thought was the most suitable / best quality kit for me. 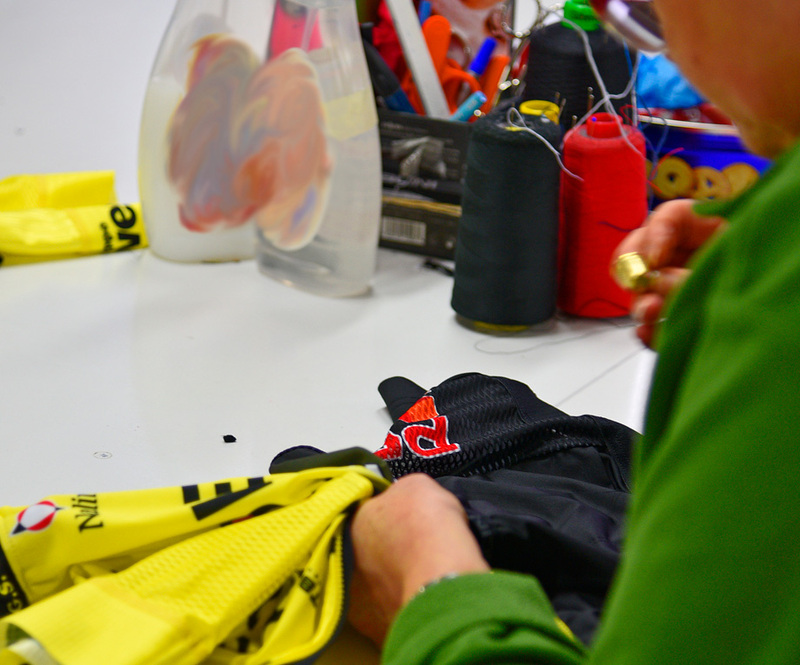 In this case THE jersey selection was Nalini’s Velocita AHS in High Viz Yellow. Note though, that I chose this with no knowledge yet of what “level” of clothing I was choosing. Nalini for 2018 have several levels of kit and they’re sorted by color-callout, a bit like Johnny Walker sorts its scotch. They go from Green Label to Red to Blue to Black. I just grabbed what I thought would work best for me and I also assumed that what I had chosen was fairly expensive given the other products on hand of similar quality, material and stitching. The jersey features a main body panel that is a highly breathable weave front panel and shoulders made primarily of a Micromesh that is VERY breathable and soft but still has some density. The sleeves ended in a more elastic material that grips well and lays flat without rolling up the way some other super thin / seamless short sleeves do. My favorite material here is the mesh that makes up the under arm and sides of the jersey. 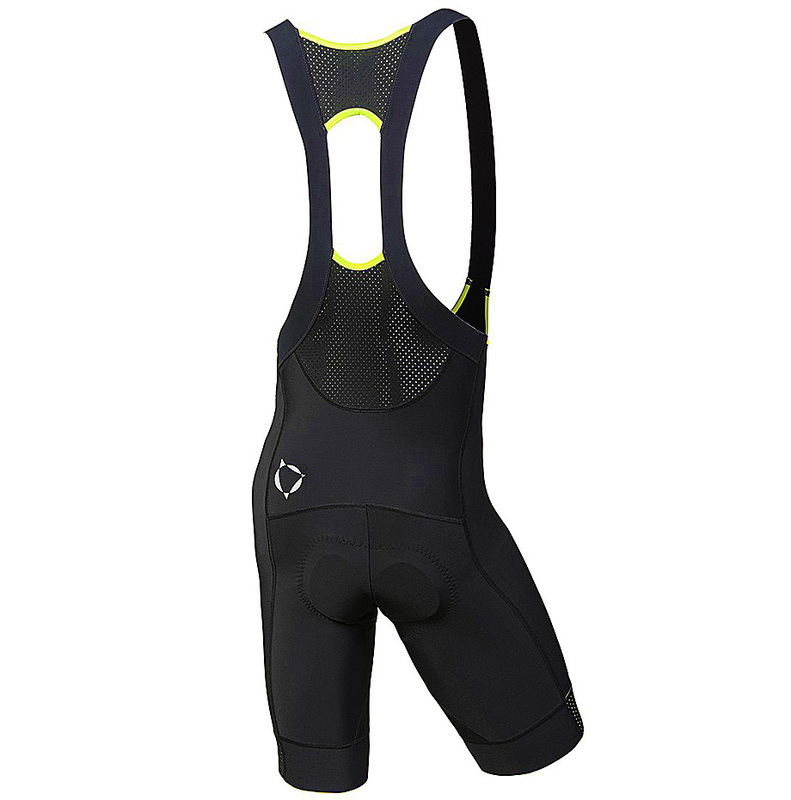 It’s very soft, also has some stretch (lacking in some other brand's mesh panels) and feels like there’s no material at all covering you in these areas as you ride. Note you can see the light passing through the body and shoulder material as well… This whole jersey breaths exceptionally well. What you don’t see is that there is also a bit of Nalini in-house magic with the material. 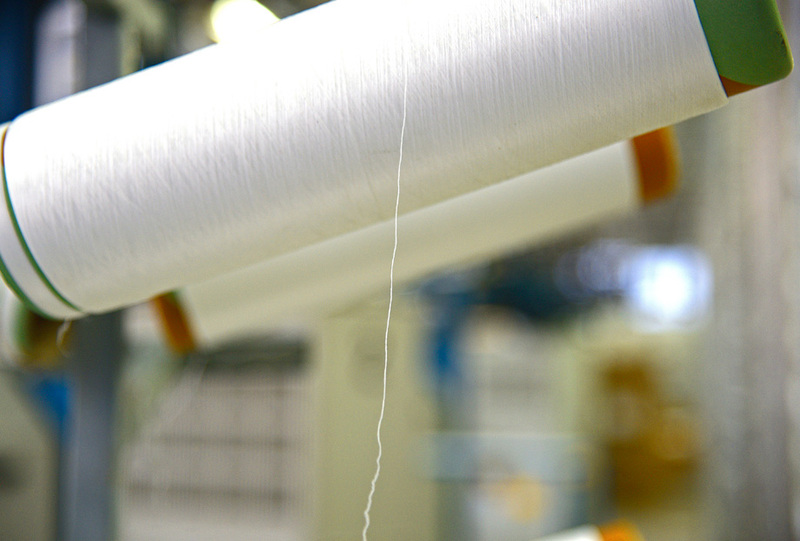 While its weave alone makes for breathability, the fabric itself gets the MOA Mantodry treatment. This material is hydrophobic, meaning it resists absorbing moisture to a very high degree. 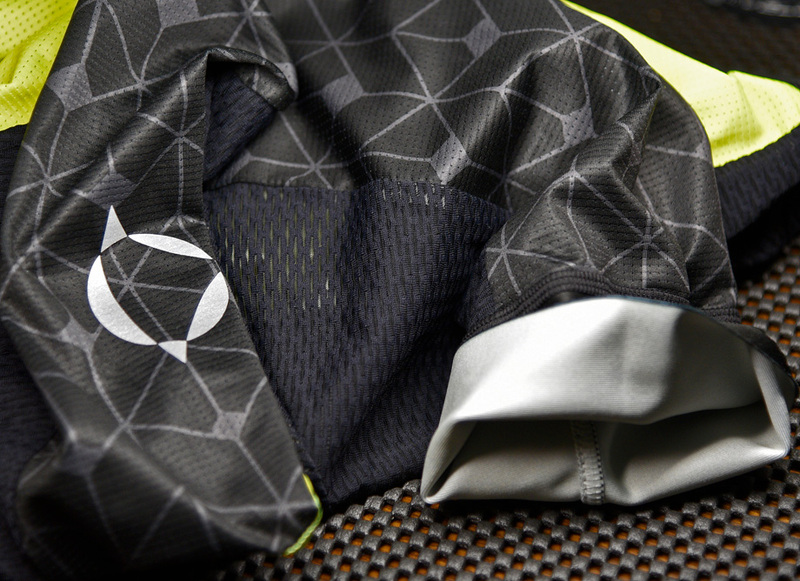 Rather than soaking up sweat, the jersey works with the wind to keep moisture suspended on its surface, creating an evaporative effect that actually helps cool you as the wind hits you. The pockets here get a little style que as they slant from large to small. The smaller pocket still has room to store gear but it’s also a little smaller to expose the zip to a water proof sleeve pocket sewn into the jersey back. So, given I had carte blanche to choose which ever jersey I wanted based only on materials and quality of workmanship, how much was the item I selected?? Just $129. 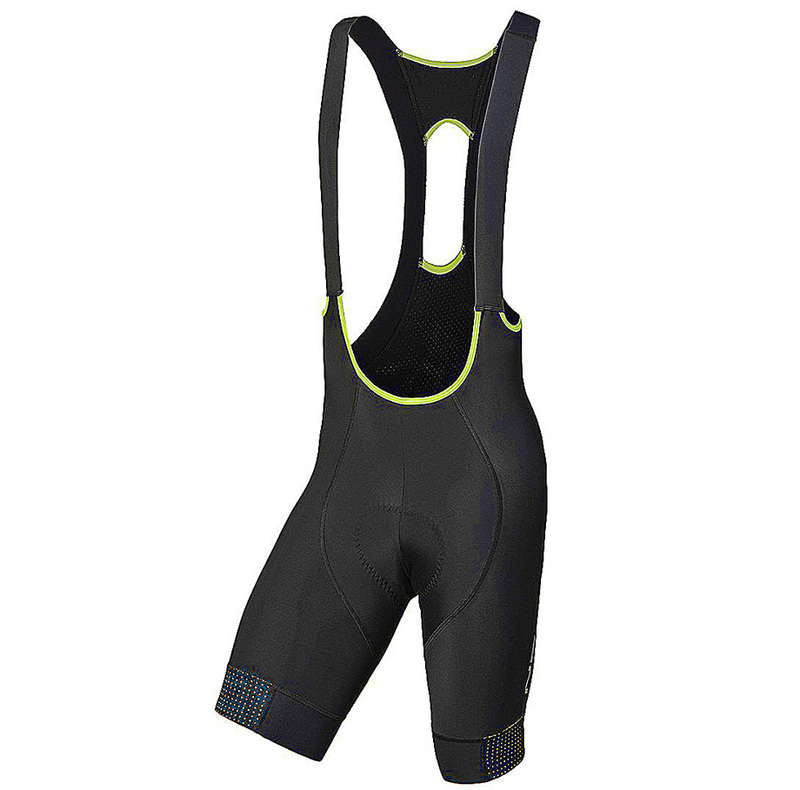 And you can find them online for less as a part of Nalini’s middle group of Red Label kit. For the bibs, it turns out my taste was a little more expensive and I also happened to pick a model that isn’t available for North America at time of writing. 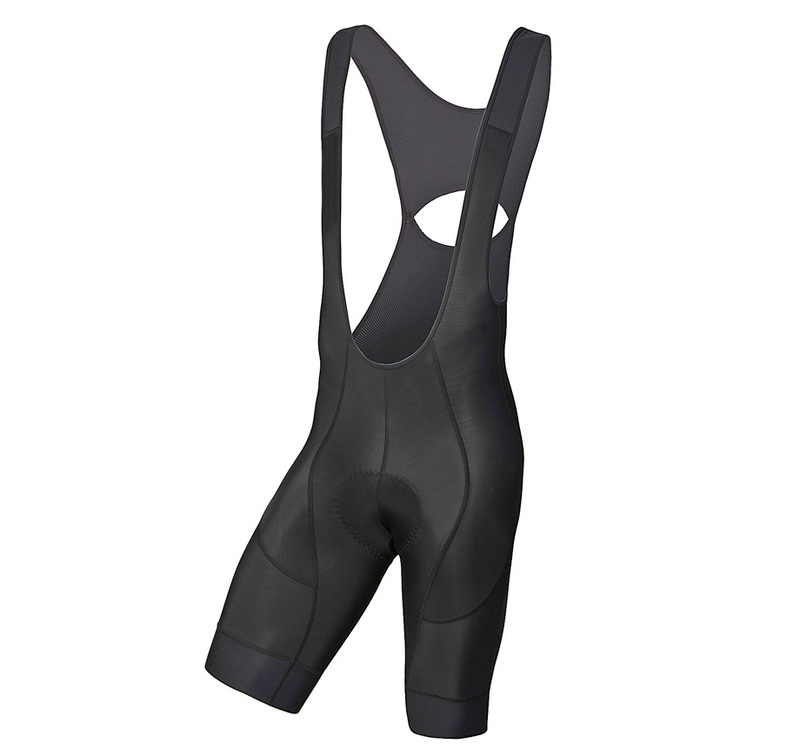 Part of the Black Line, the AHS Ventoux Bibshorts are carefully selected, high compression material cut in a body mapping pattern that allows for the direction of the compression to support the thigh muscles but keeps the hips free to move through the pedal stroke. 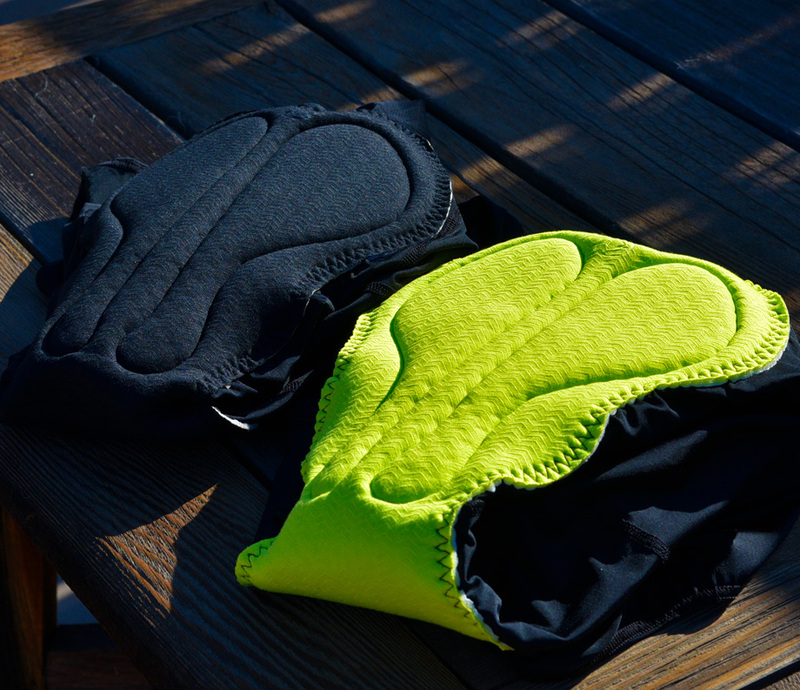 Of course, bibs are only as good as the chamois and Nalini use Their 2.7M 8/100 Q Skin pad for the Ventoux. The important part in all those letters and numbers is that this is a genuine 4 layer pad (real deal, as there are different materials rather than a heat formed shape that pretends to be multiple layers) that is very good at giving some suspension between your sit bones and saddle. Giving it the finger squish test, you’ll note that your fingers don’t just slam together making you wonder whey there’s a chamois at all. There are several pieces to this pad beyond a pattern that looks similar to many lesser chamois. For the US market Nalini are featuring a few shorts and the models that come closest to my choice in chamois are the Scatto and Marmotte. 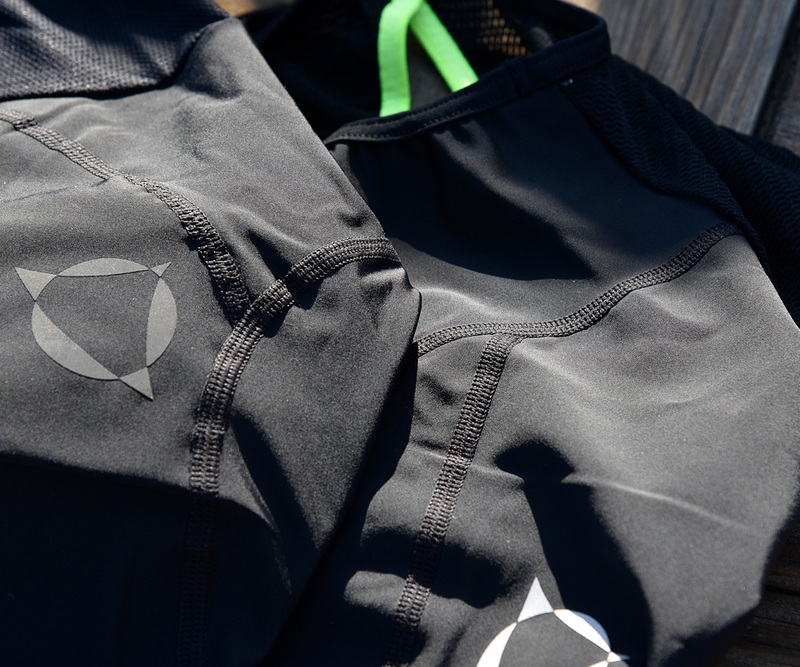 These shorts both feature the 2.6 M 8/100 Tiger Long Chamois. That’s a 3 piece (layer) pad with a 100kg per sq meter density foam like the Ventoux shorts I originally chose. The materials for the Scatto and Marmotte are also fairly different with just a bit of detail separating the two. 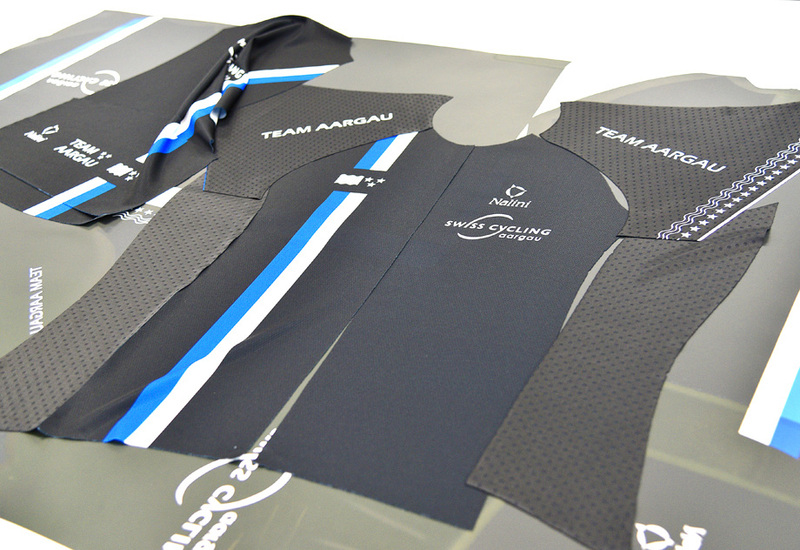 Both feature lycra Sport material as the main panels but have a bit different panel shape and seam placement. 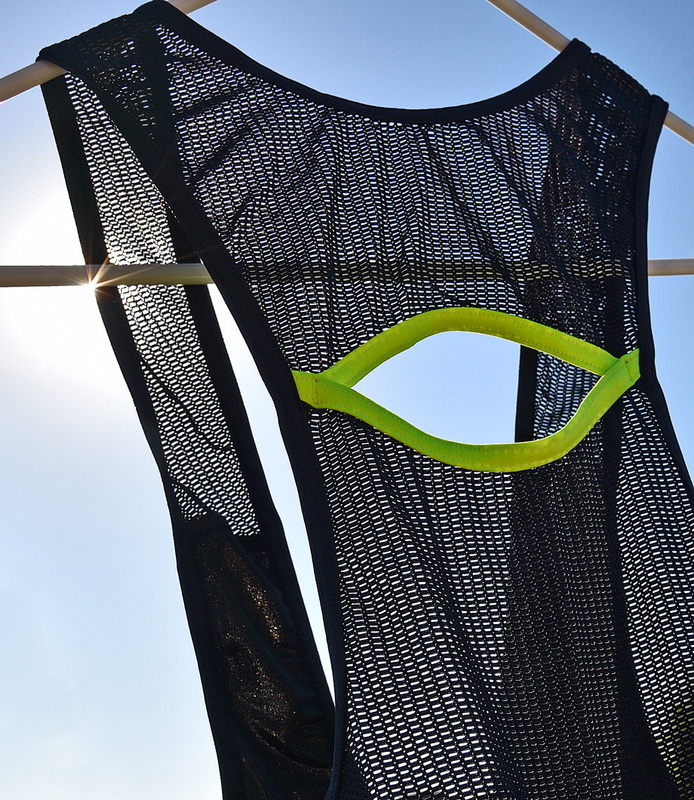 Both also feature MOA’s Mantodry Treatment (the same as the jersey, but on a different weave/material) making the bibs also dry more quickly than untreated fabrics. Both also feature 4 needle flatlock stitching like the Ventoux. The 4-needle stitch makes the panels lay flat against the leg against your skin rather than seam of the two materials pinched together. The primary difference between the two models is that the Marmotte bibs actually have a couple more panels and a bit more stitching. There’s also a bit of difference in the mesh and straps with the Marmotte having a thinner/lower profile strap, mesh and opening in the back (it’s the all black, versus the yellow accent of the Scatto shown below). Both the Marmotte and Scatto have highly breathable and well supported shoulder straps with openings at the back for a bit more ventilation. Both feature very thin but supportive leg openings with silicon gripper dots that hold securely (a bit wider coverage for the Marmotte). 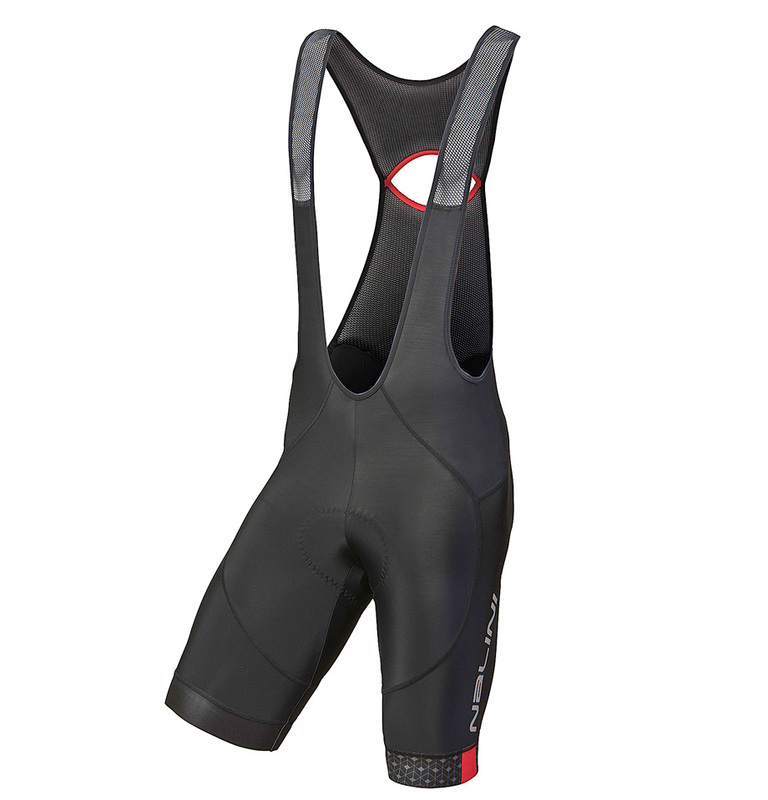 At $149 for the Scatto and $169 for the Marmotte, these Bibs are similar quality to a few other products made by the same people but with different Branding. These other brands also have different SRP, with price tags 50-100% higher. In fact, the Ventoux, Scatto and Marmotte are better than a few pairs of bibs I have here at home that costSRP substantially more. 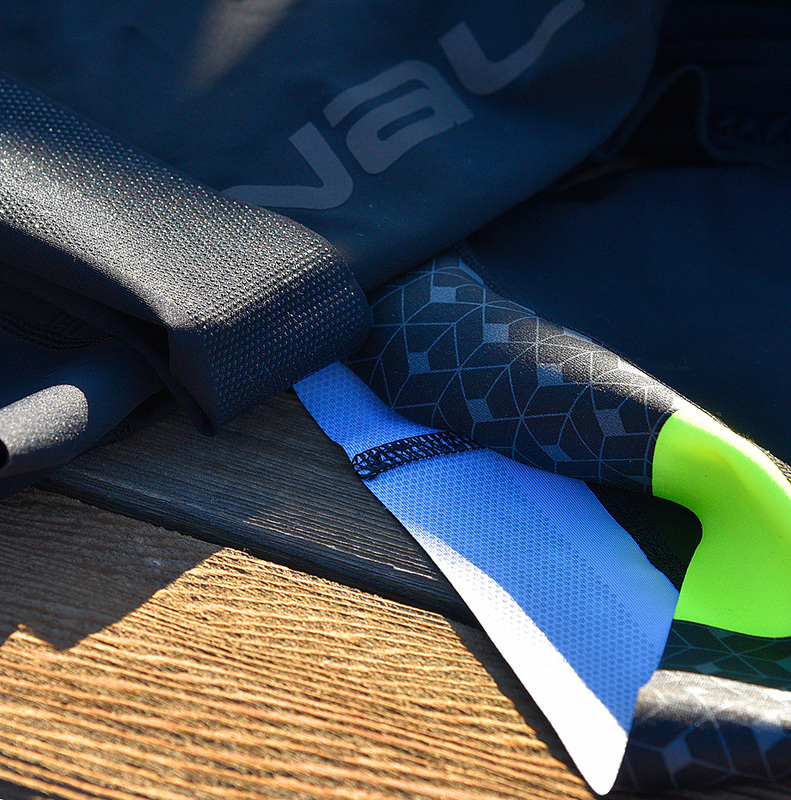 Nalini MOA Sport have 10 times the race pedigree of brands costing 2-3 times the price. This is a huge facility relative to most clothing brands, which makes sense when you consider how much more actual fabrication happens here… I would guess there are a couple hundred thousand square feet under roof for Nalini/MOA and all the hallways are filled with winners’ jerseys from virtually every pro race on the planet. And this is a fraction of what they could show were they not very good partners to their customer brands. Something else to consider is that they don’t just handle multi-million-dollar brands and top Pro Tour teams. 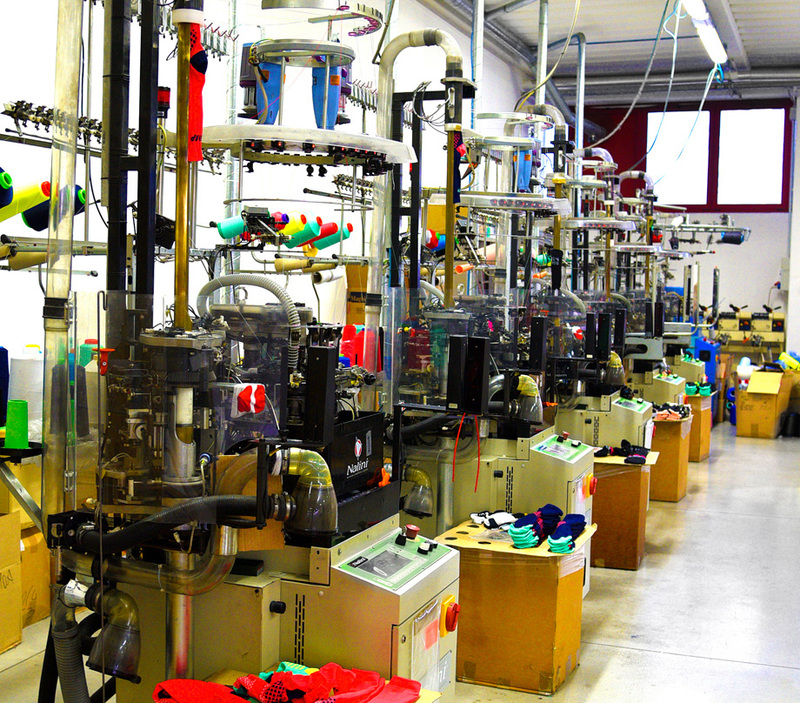 Nalini MOA Sport are custom providers with massive capacity. They’ll work right down to the shop/club level to provide you anything from bare-bones bargain jerseys to fully clothing you from head to toe in customized pieces made to specification from the tip-top level materials. 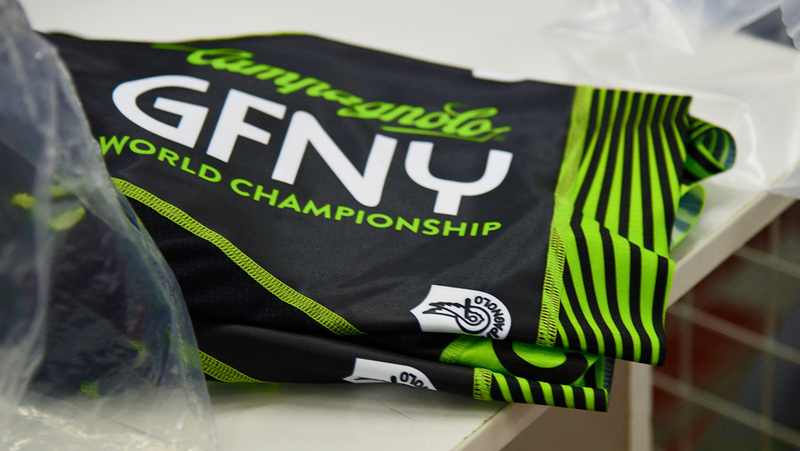 A huge volume of the products being made during the visit were custom orders for Organizations Like GranFondo NY (and affiliate races worldwide). 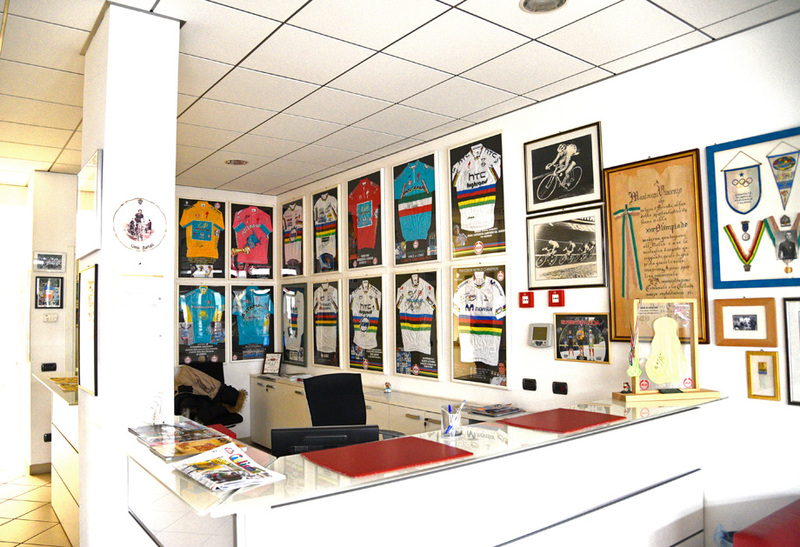 But the largest workflow was being crafted for much smaller organizations, teams and shops than GFNY Campagnolo… And all of it with the same care and by the same hands working on the pro team and top brands pieces. 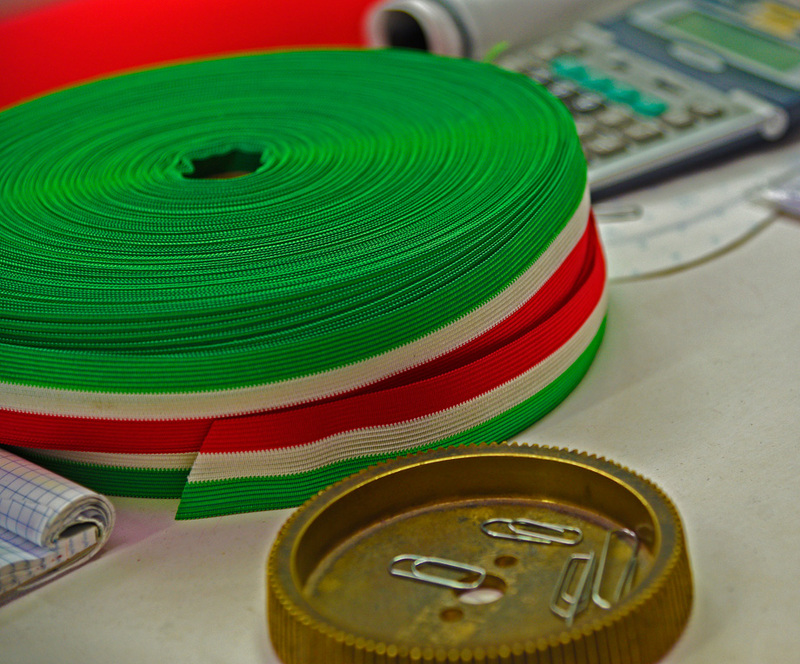 Nalini / MOA sport are a huge company, but at heart it’s really just a little shop in Italy, making things by hand, much the same as they have been for decades. 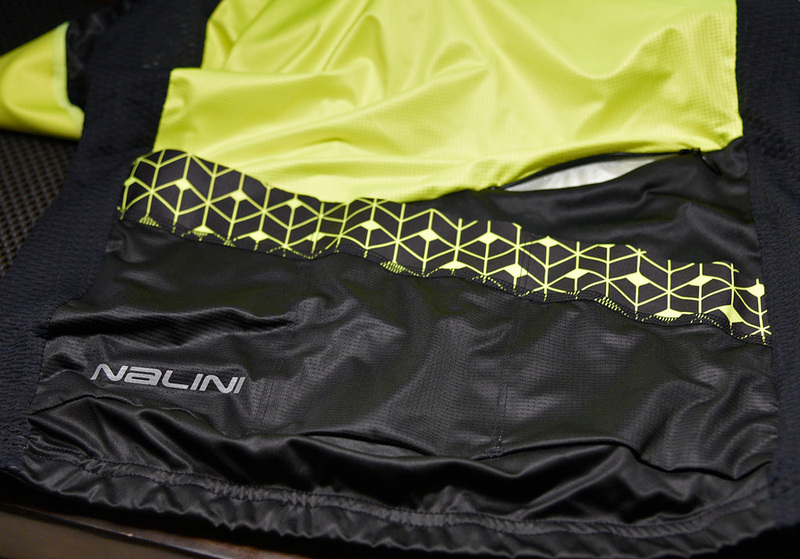 For North America, the distribution source for Nalini/MOA Sport is Albabici, and you can find their clothing in bike shops across the US and online. Note: if you have other experiences with gear, or something to add, drop us a line. We don’t claim to know everything (we just imply it at times). Give us a pat on the back if you like the reviews, or a slap in the head if you feel the need! PezCycling News and the author ask that you contact the manufacturers before using any products you see here. Only the manufacturer can provide accurate and complete information on proper / safe use, handling, maintenance and or installation of products as well as any conditional information or product limitations.